To begin with, I must assure you – and anyone reading from Wrexham Council or the Welsh Government – that there has been the usual hours of struggle without care or support that has left me frustrated without being able to communicate while spending hours sitting in discomfort. The fact that I have achieved so much is because I have a great team of support workers who have helped me excel DESPITE the shortage of social care hours of support that I receive. 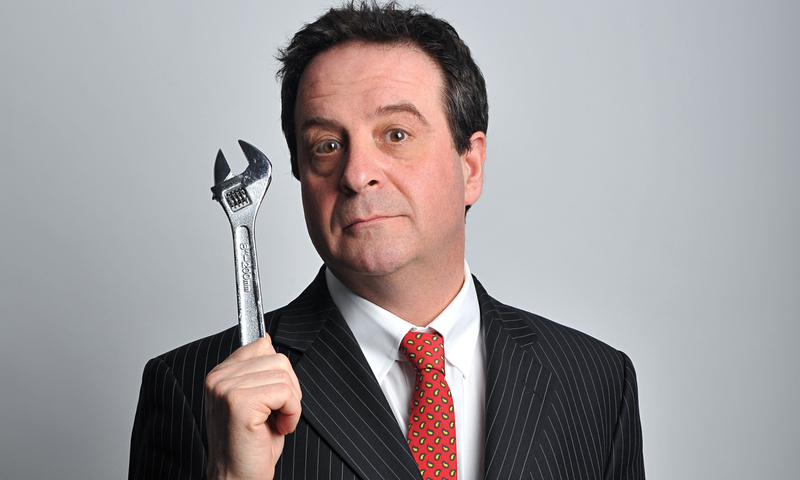 On Sunday evening (July 16th) I went to see comedian/activist Mark Thomas at the Llangollen Fringe Festival. After his enjoyable set, I was lucky enough to meet him and ask for his advice and support for my petition. He kindly agreed to Retweet information about my petition and within an hour I received an extra 22 signatories. I have currently received 174 online signatures and have a healthy paper petition that is growing as we speak. Thanks to Mark (pictured above) for his support and I look forward to seeing him in the not too distant future as I am interested in attending a gig of his on October 4 at theWaterside Arts Centre in Sale, Greater Manchester. After a couple of humdrum days I then travelled to London on Wednesday (July 19th) to take part in a Disabled People Against Cuts protest in the Houses of Parliament. We managed to occupy the central lobby in the Houses of Parliament, which is used as the MPs entrance to the House of Commons. It was a great day and I really enjoyed taking on the establishment and making my voice heard. 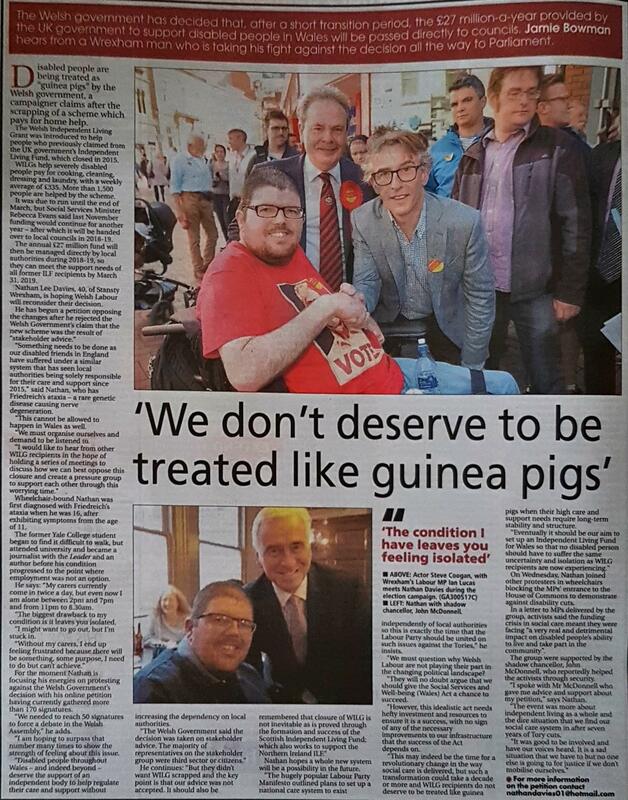 I also met up with my MP for Wrexham, Ian Lucas who has arranged a home visit with me next week. 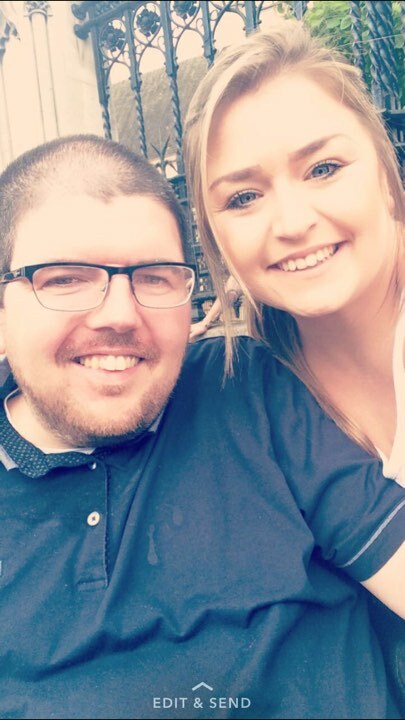 Nathan Lee Davies and his Personal Assistant Tia Louise Wills. It was also a special day for one of DPAC’s lead activists as Paula Peters celebrated her birthday. This was a chance for me to chat and mingle with some of the magnificent DPAC members who had travelled far and wide for the protest. 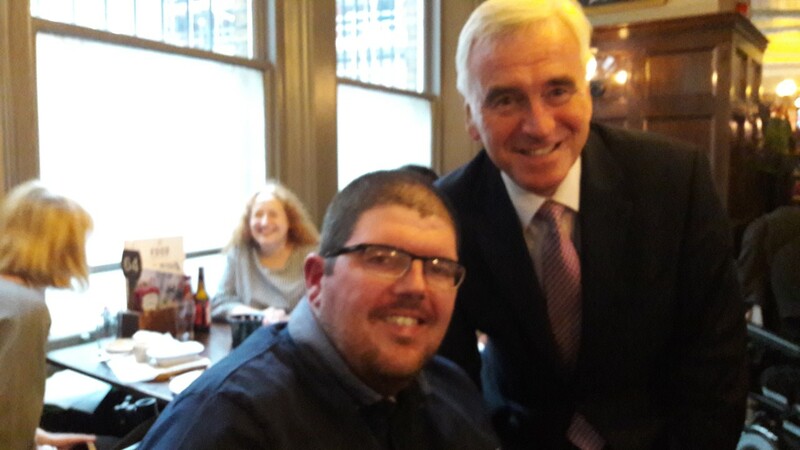 There was also a surprise guest as John McDonnell turned up to give his best wishes to the remarkable Ms Peters. How many other politicians would give up their spare time to attend a birthday celebration for one of their supporters? Not many. Vice Chancellor John McDonnell meets Nathan Lee Davies.